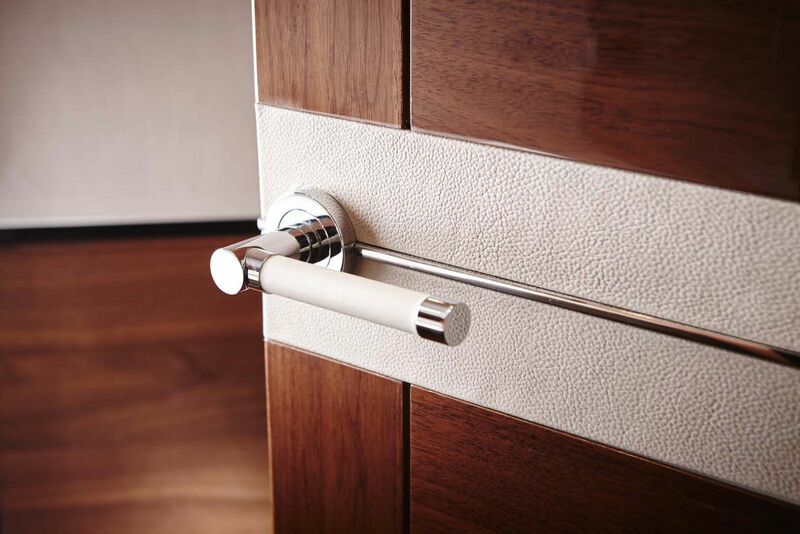 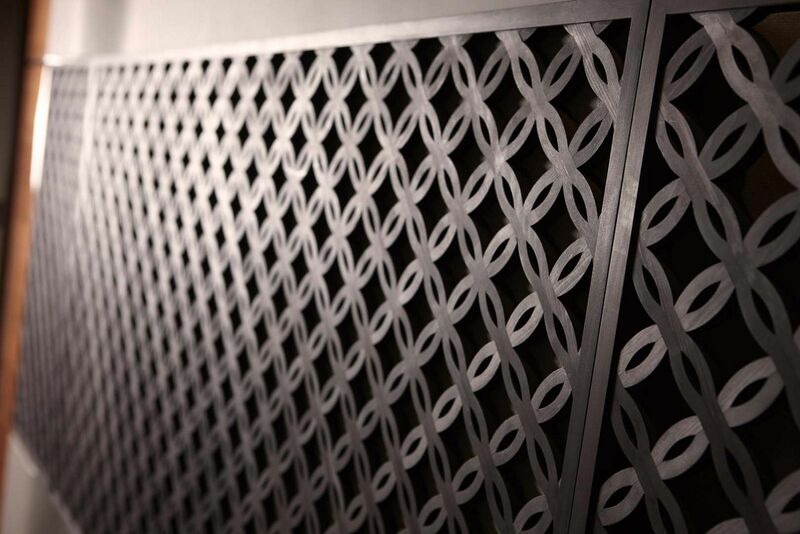 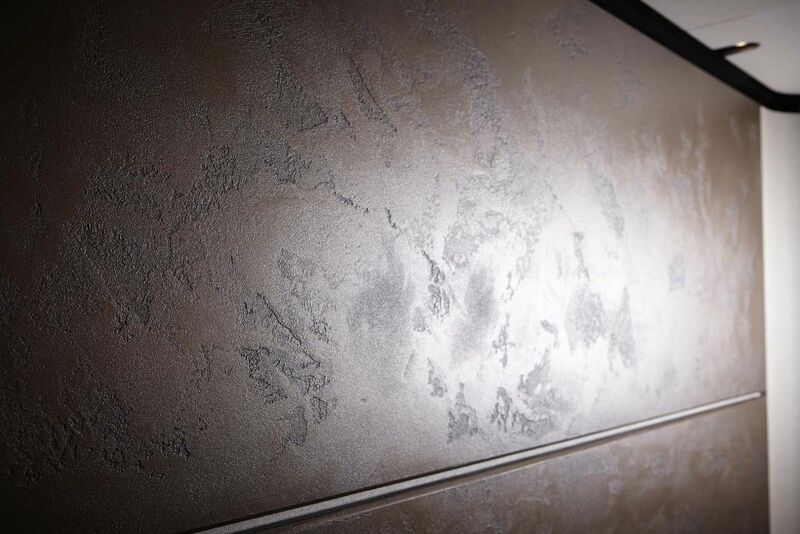 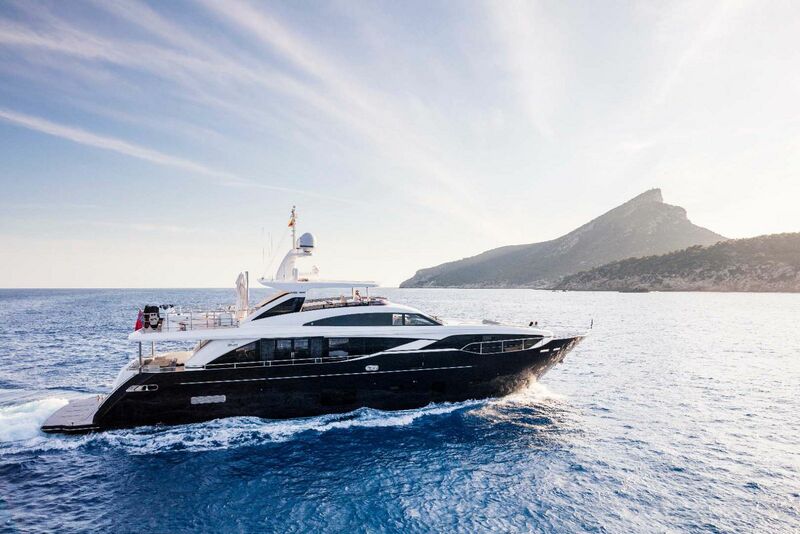 The word ‘Luxury’ is defined as a state of great comfort and extravagant living. 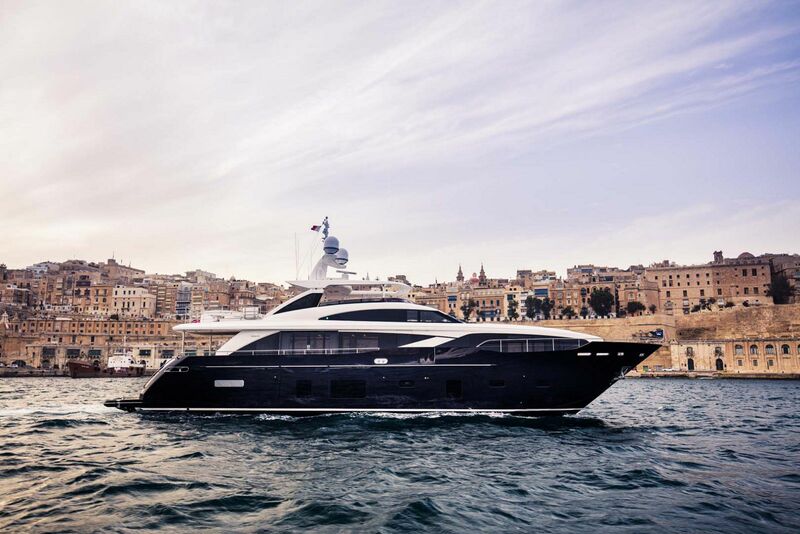 As one of the most distinctive raised pilothouse yachts in the world, the Princess 30M epitomizes the luxury lifestyle. 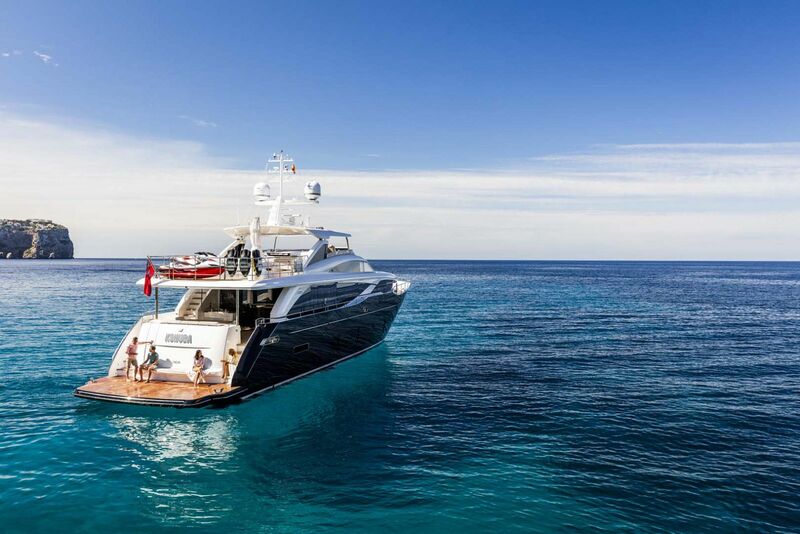 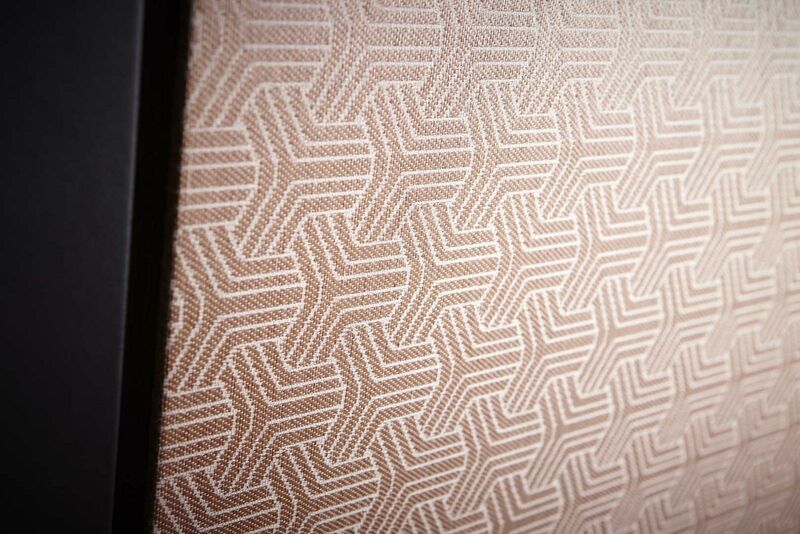 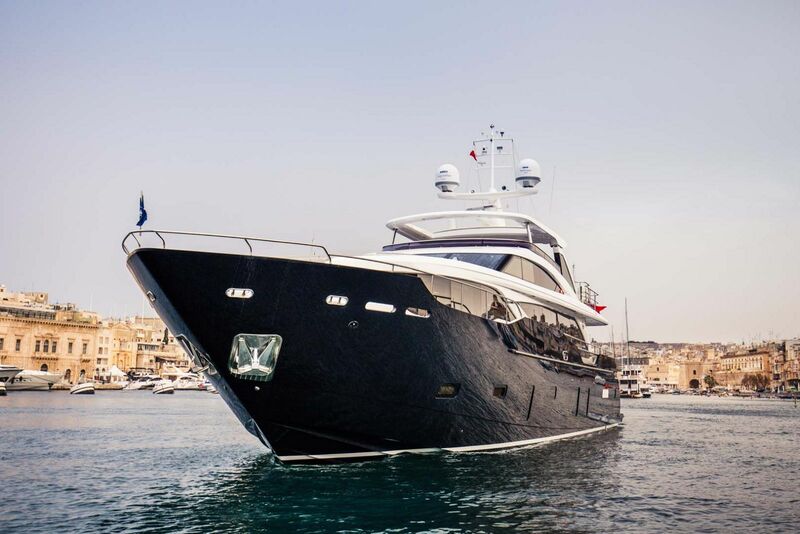 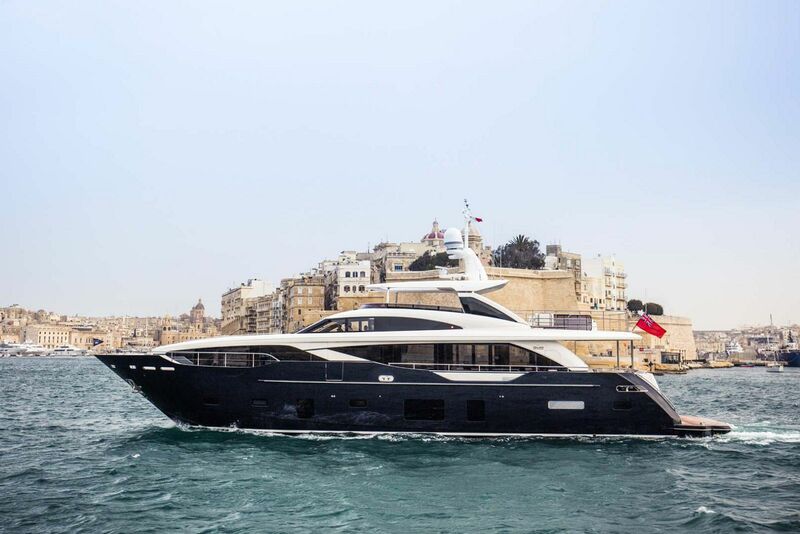 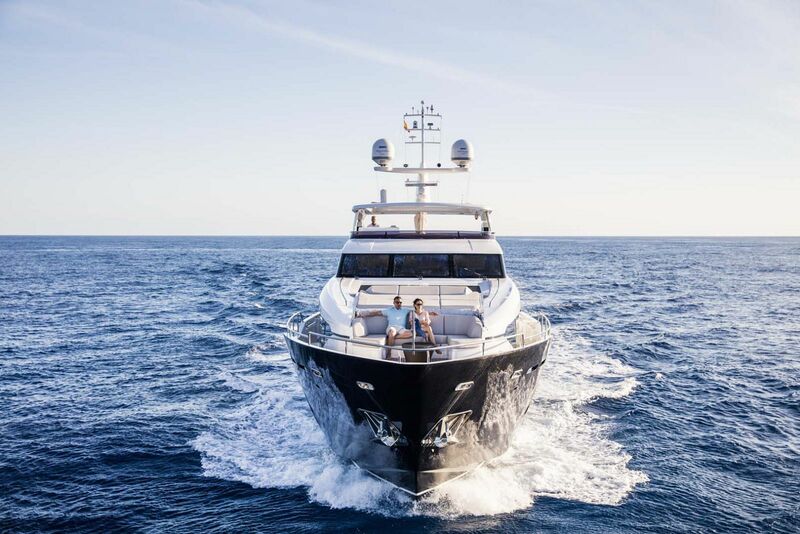 From the magnificent interior appointments to the well-planned resting spots on the sun loungers, sofas, or aft deck, the 30M will leave you wanting for nothing. 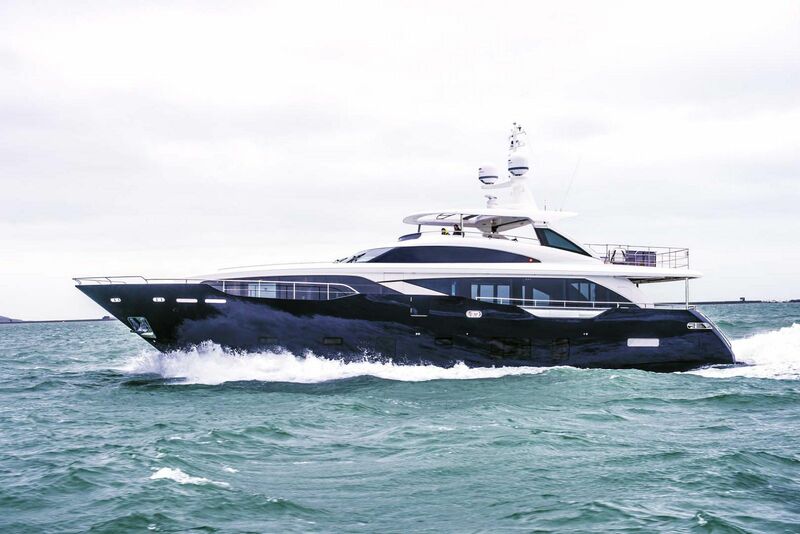 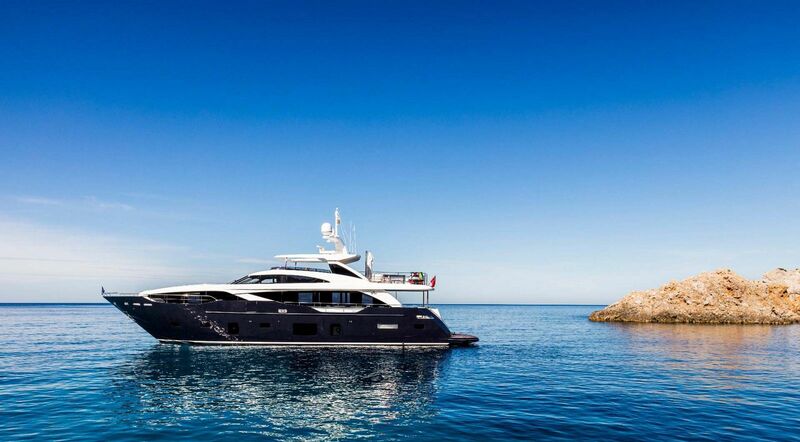 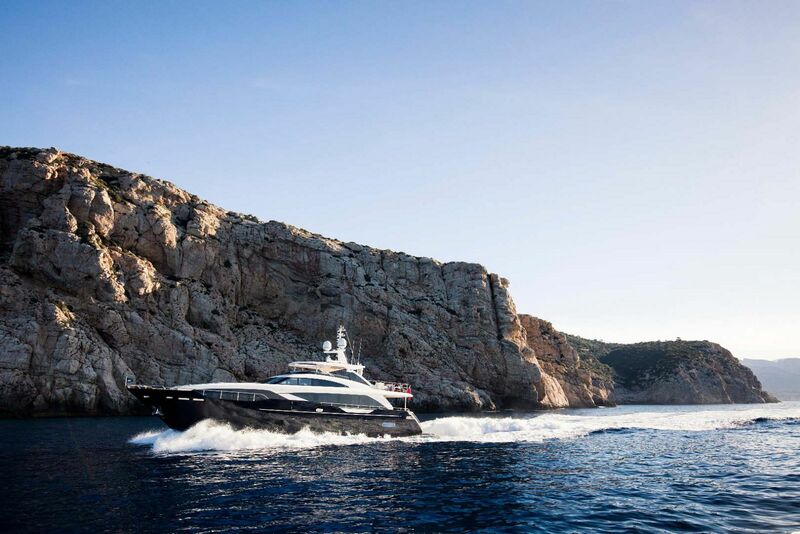 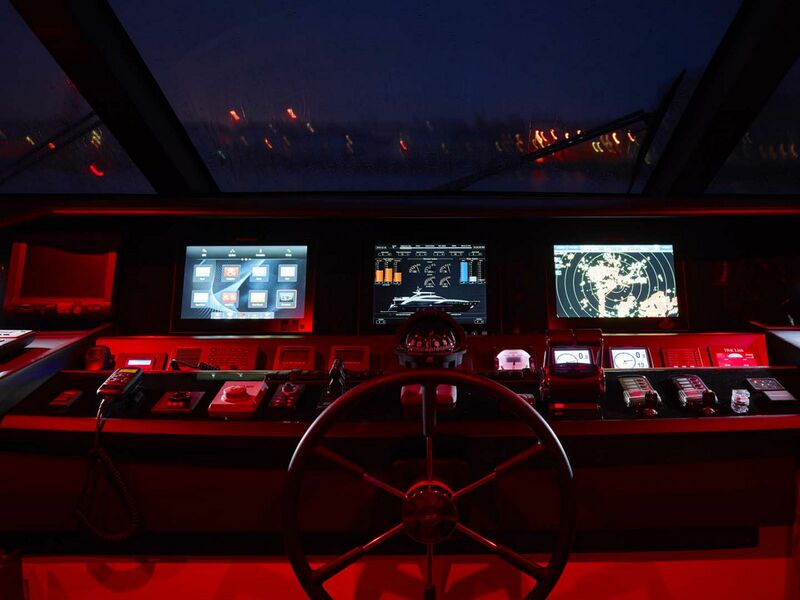 The optional dark blue hull glistens spectacularly when cruising at 23 knots through the sea and can carry you over 300 nautical miles at that speed. 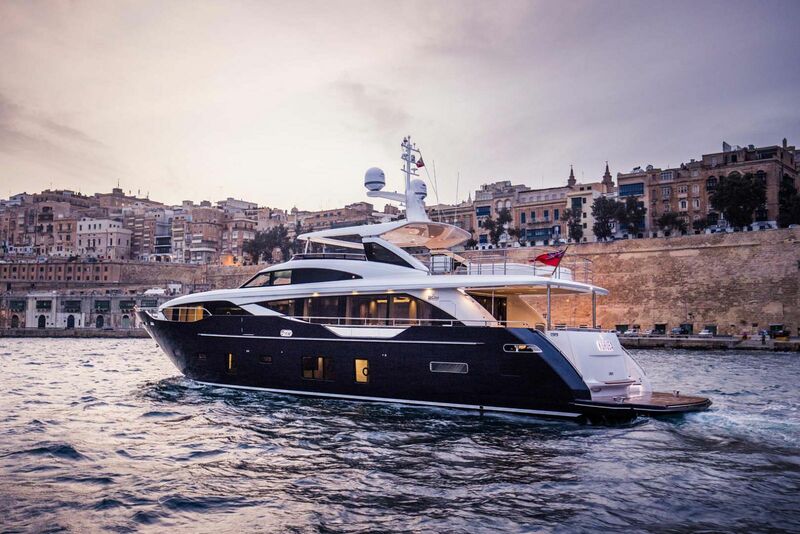 Princess motor yacht owners looking to move up in the fleet now have a viable mega-yacht option from the Plymouth factory along with the Princess 35M and 40M. 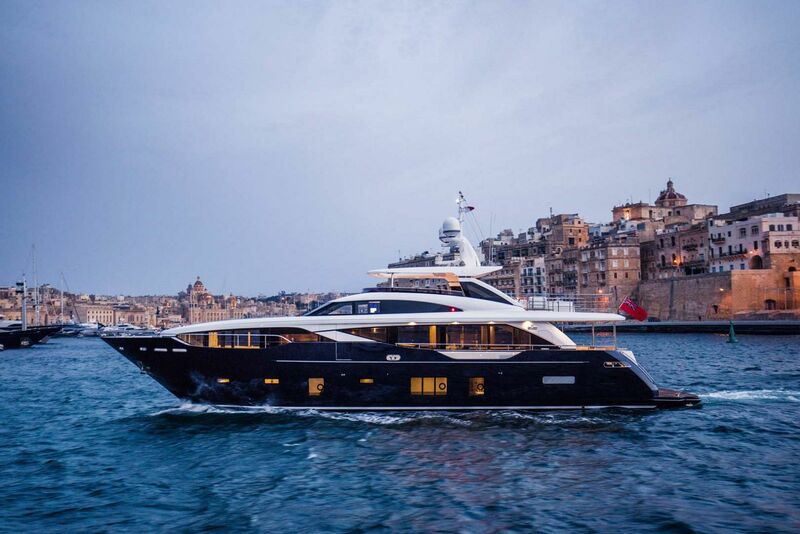 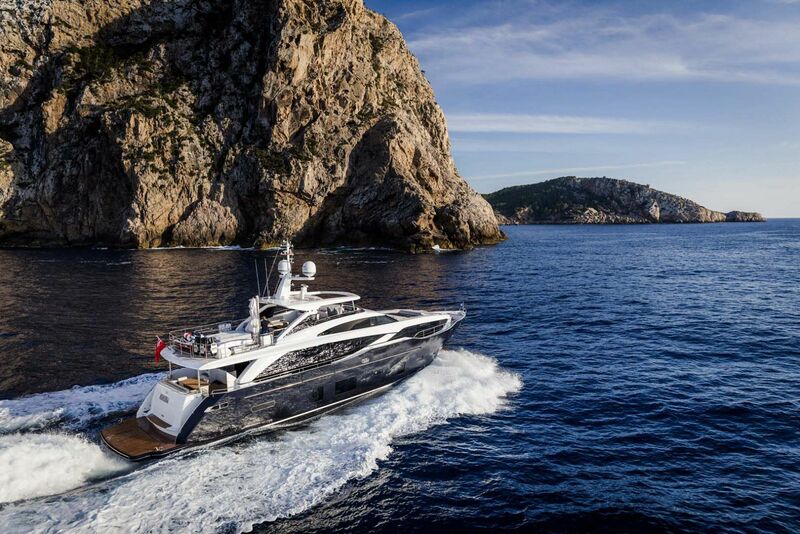 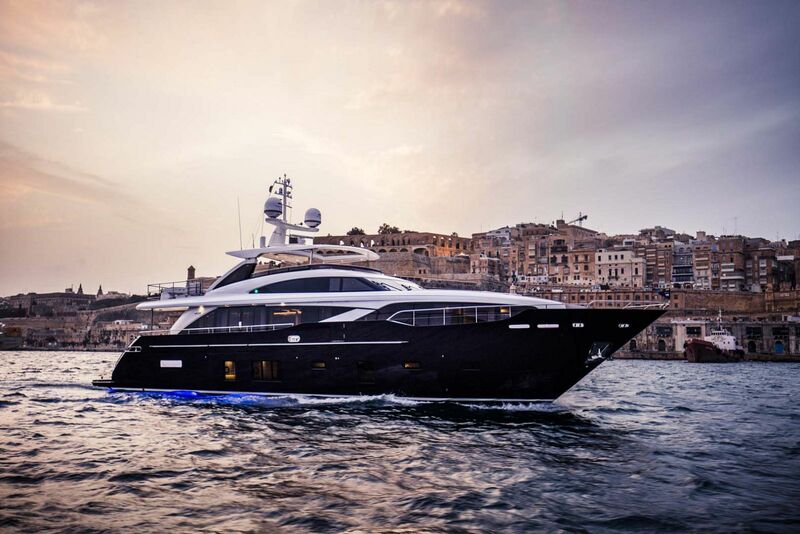 Aside from the amazing performance and all of the interior features that make the 30M a true luxury motor yacht, perhaps her most striking characteristic of all is simply the fact that she is undeniably beautiful. 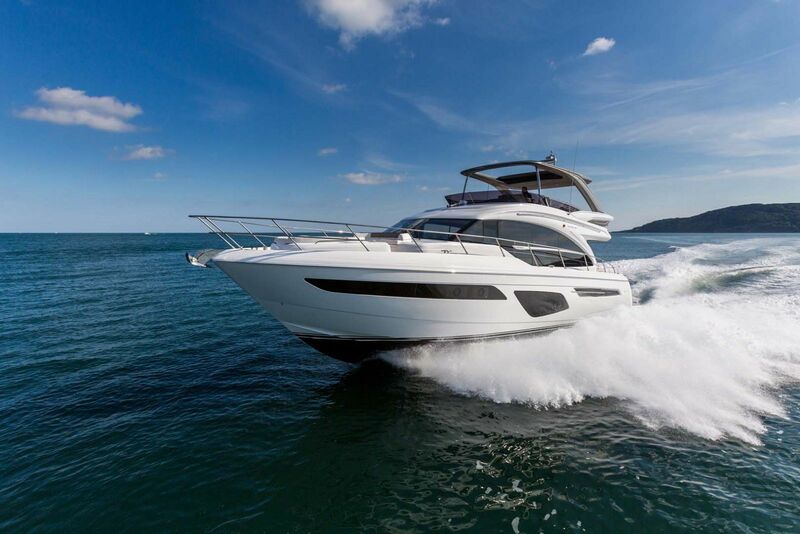 Starting at the transom, the Princess 30M has a roomy garage perfect to house a small tender, jetskis, SeaBobs, scuba gear, and other water toys on board. 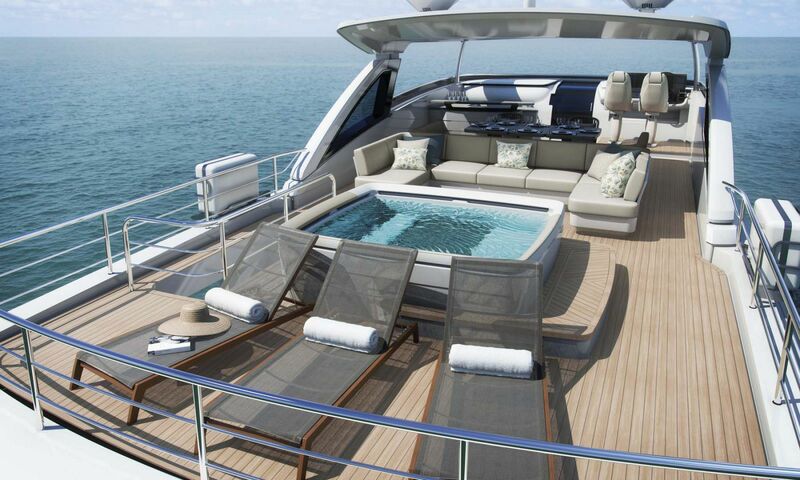 The hydraulic swim platform lowers gently into the water creating your own private beach or helping to launch divers into the reef down below. 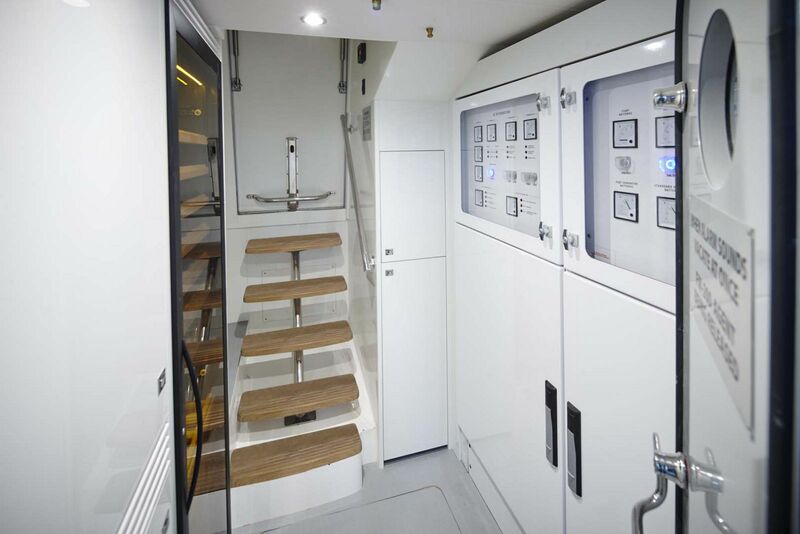 The control and engine rooms are adjacent to the garage for easy access and have plenty of headroom and space when entering. 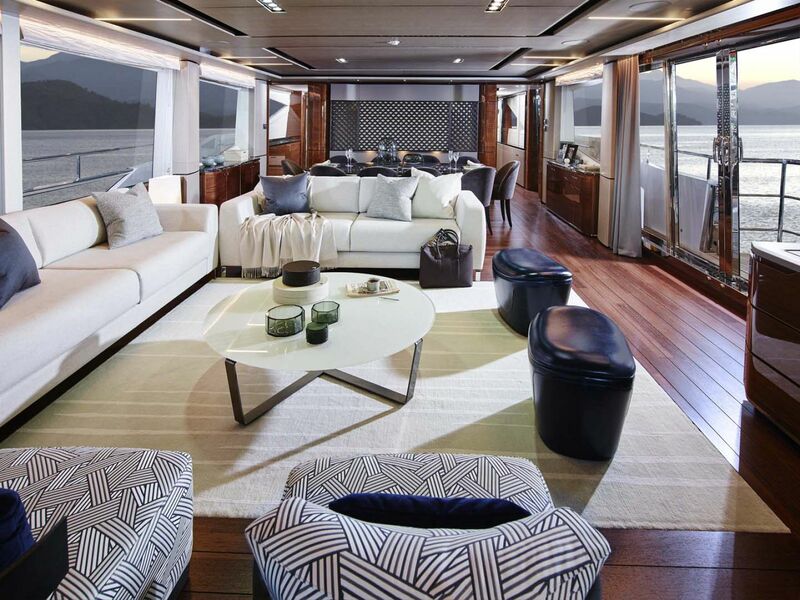 Two staircases opposite each other lead you from the transom to the beautiful aft cockpit. 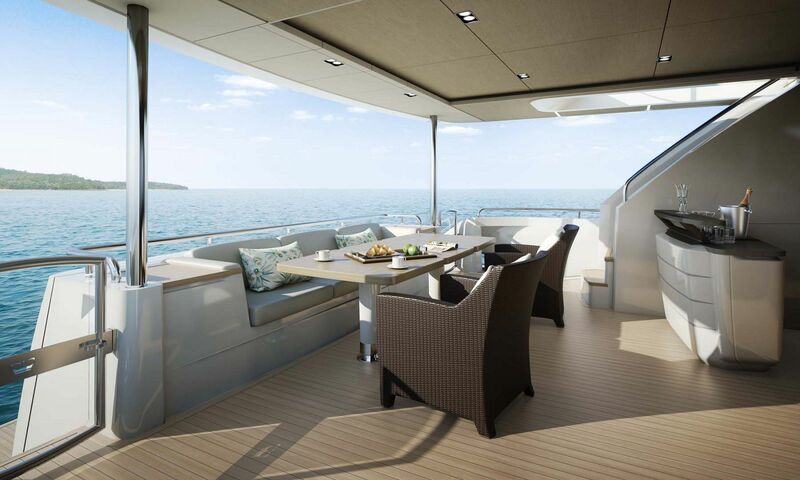 This space on board is special, not just for the views while dining outdoors, but the extra comfort features built into the cockpit. 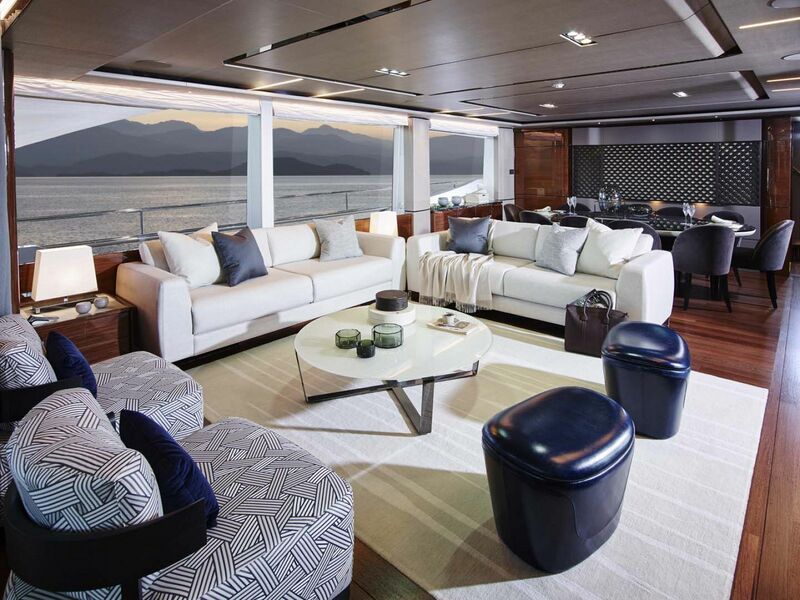 A large teak table is farthest towards the transom and comfortable seating can fit 6 to 8 people. 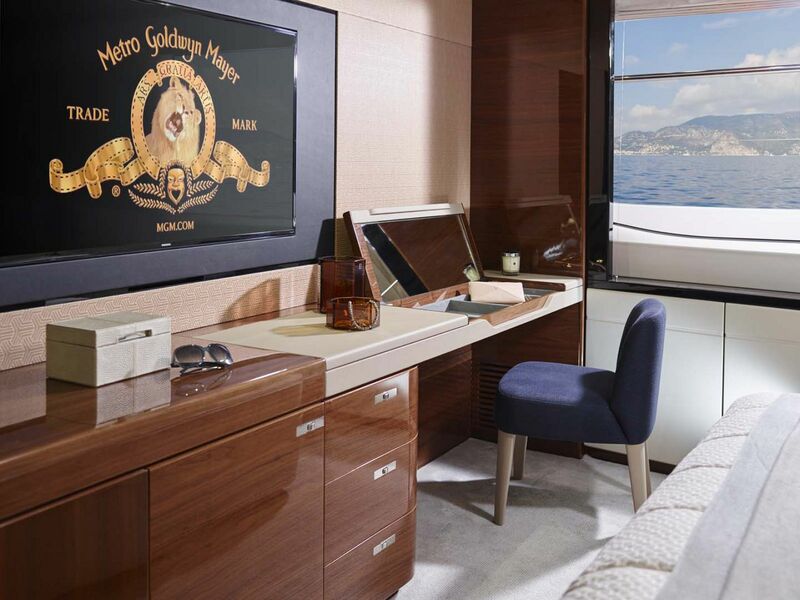 A wet bar close by is conveniently located for mixing and serving cocktails. 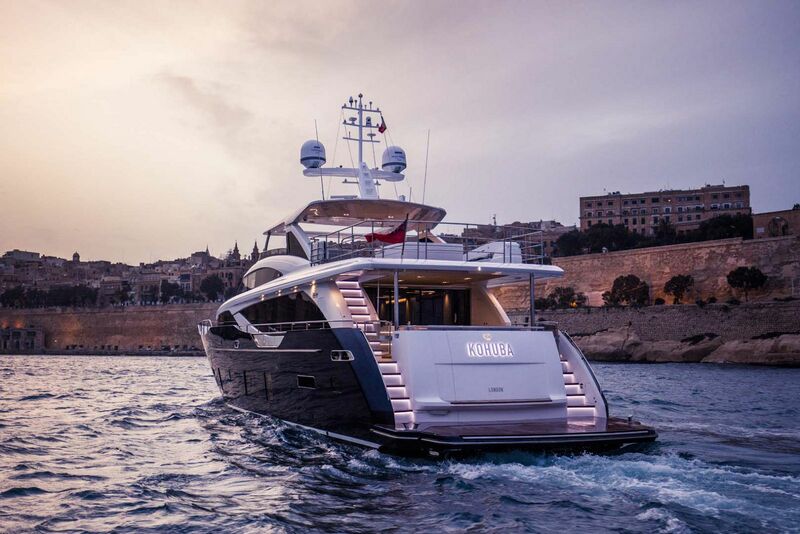 A portside staircase leads guests to the 30M’s flybridge which is massive with several places to socialize, dine, or relax in the jacuzzi. 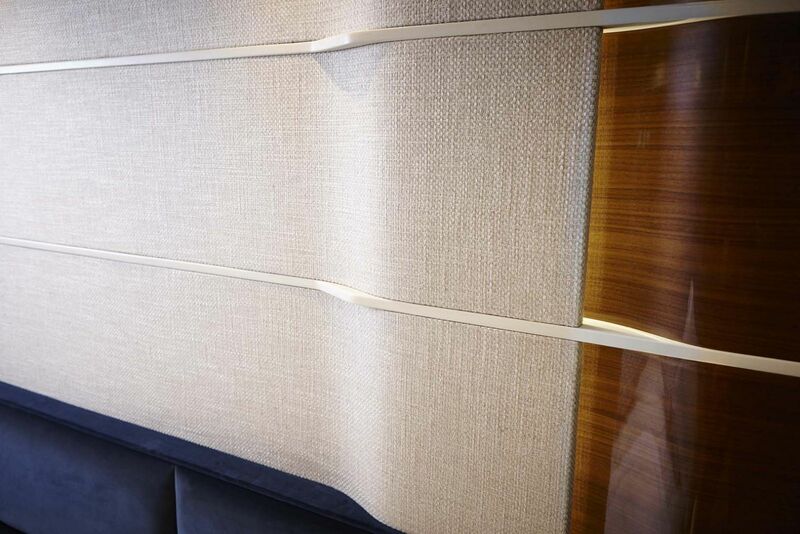 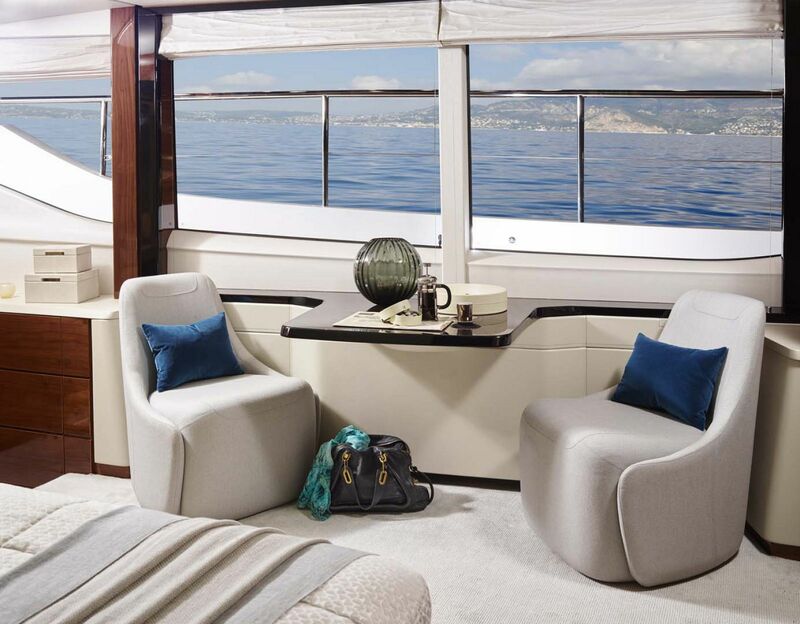 The flybridge hardtop shades guests on board and the 360-degree views provide a wonderful place to sit and enjoy the ambiance on two L-shaped sofas opposite one another. 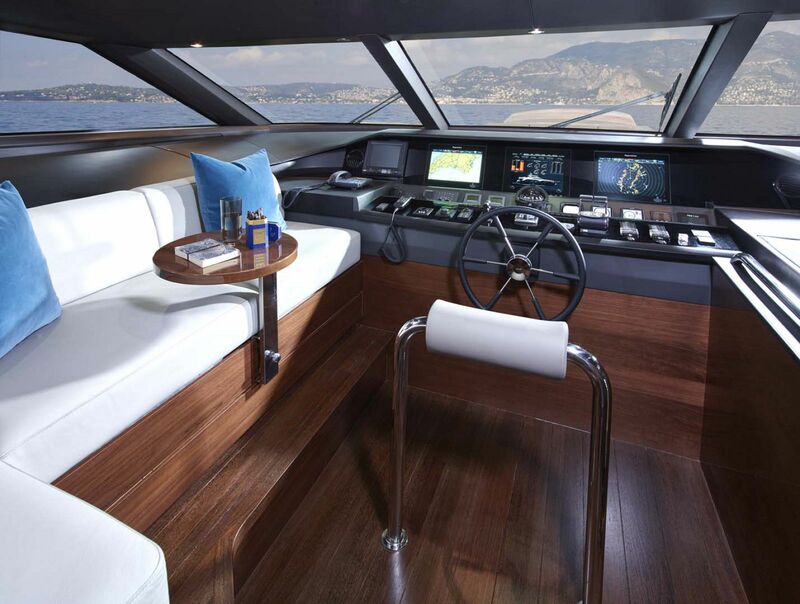 The flybridge helm is starboard with two comfortable captain’s chairs and all of the electronics needed to guide you to your destination. 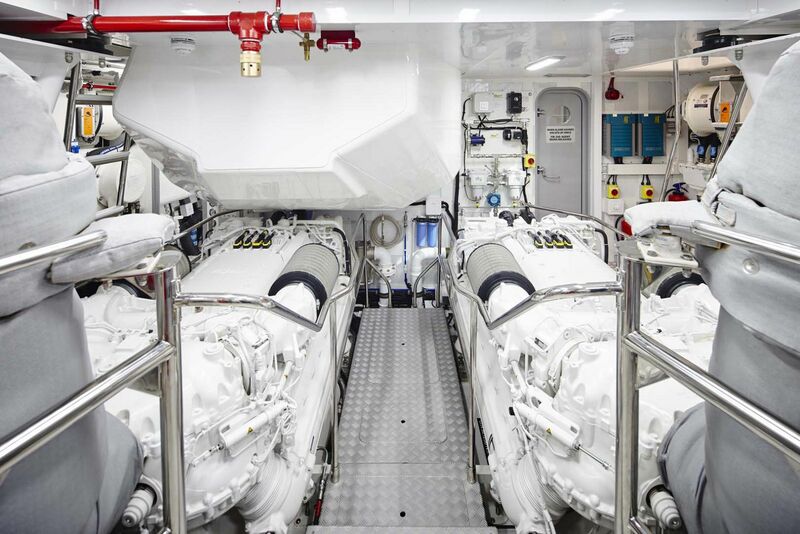 An outside galley station is opposite the helm and includes a grill, sink, refrigeration, and ice maker. 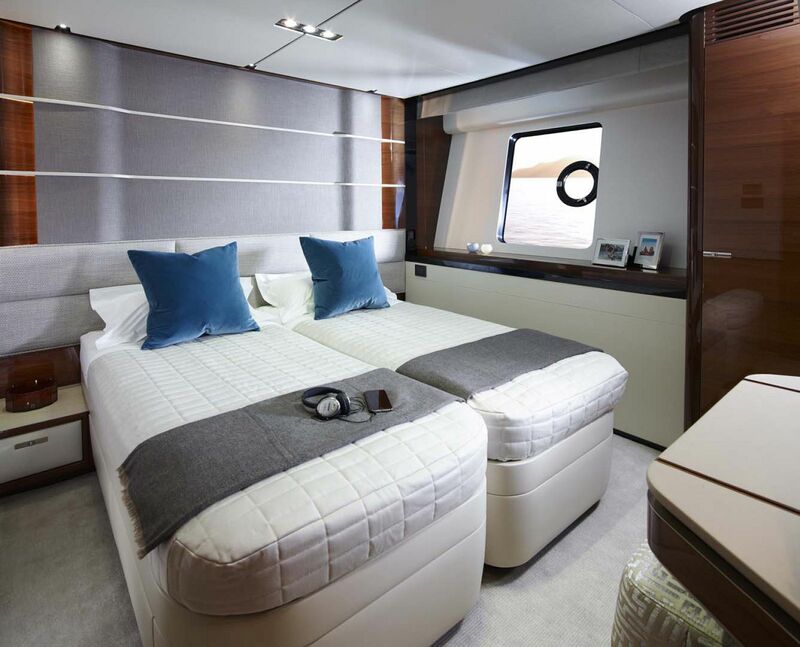 There is an additional staircase as well that takes the owner from the flybridge helm directly to the helm in the raised wheelhouse. 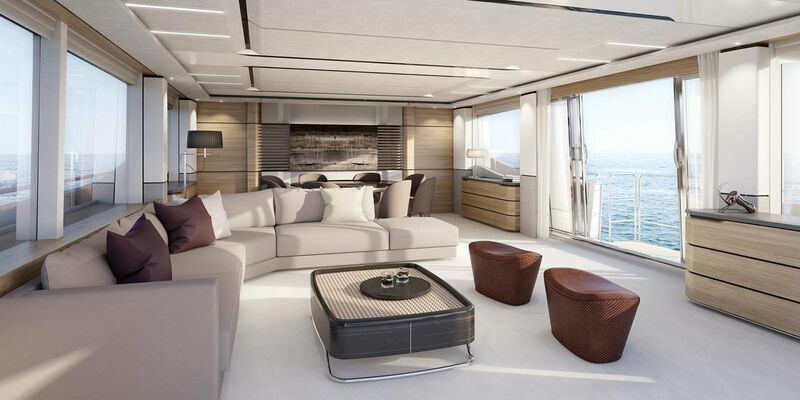 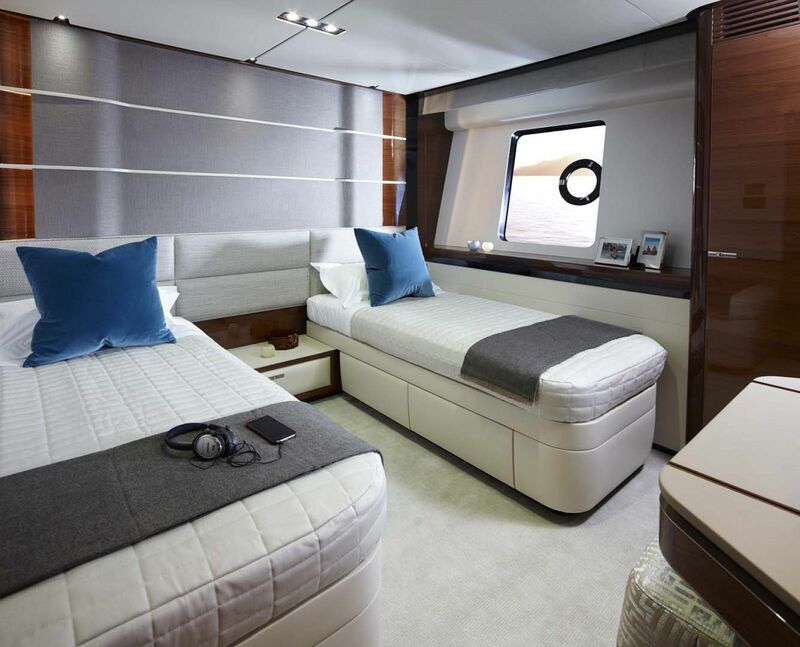 The salon on board the 30M is highlighted with light wood and furniture which gives off a fun, “beachy” feeling that owners and guests will find inviting. 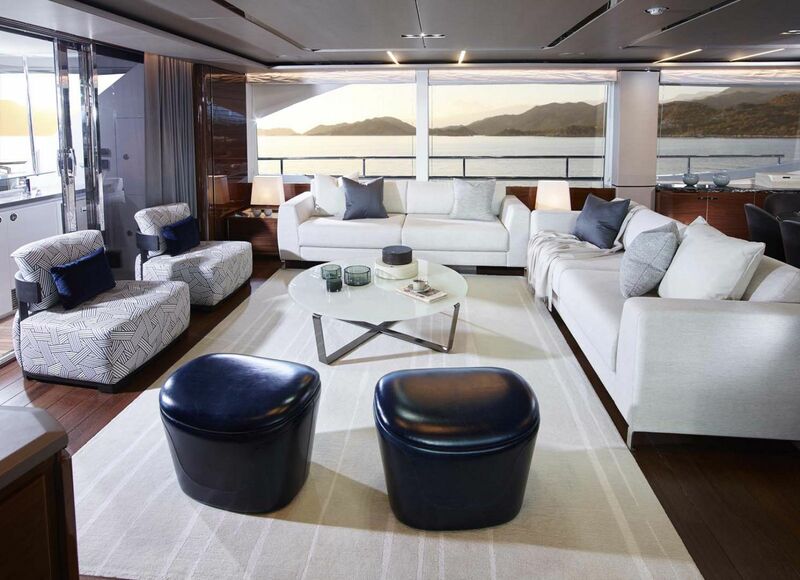 Two large sofas are portside along with two comfortable chairs that sit around a large coffee table. 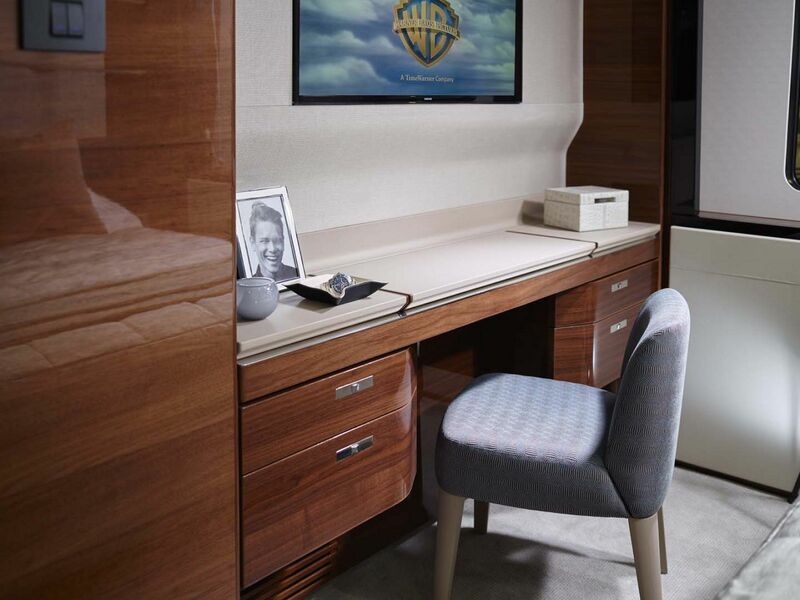 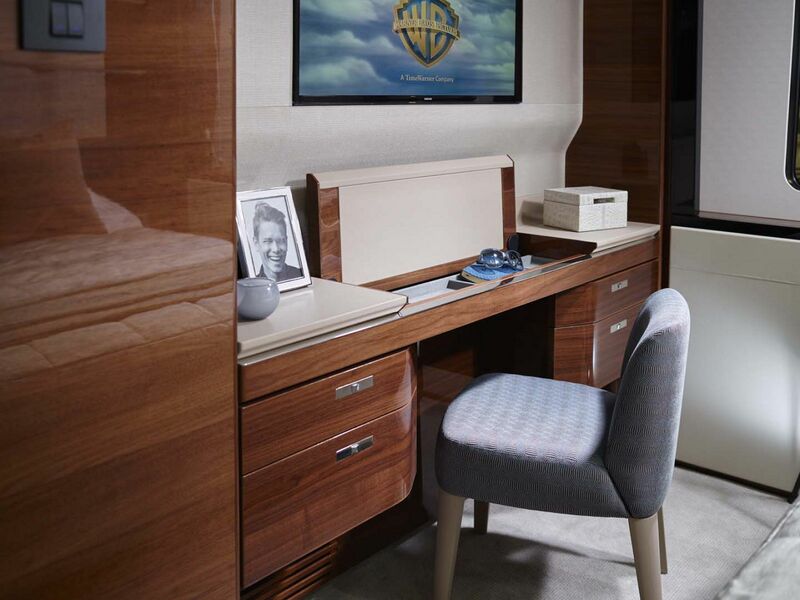 A flat screen television is hidden inside a wooden cabinet that lowers inside when not in use. 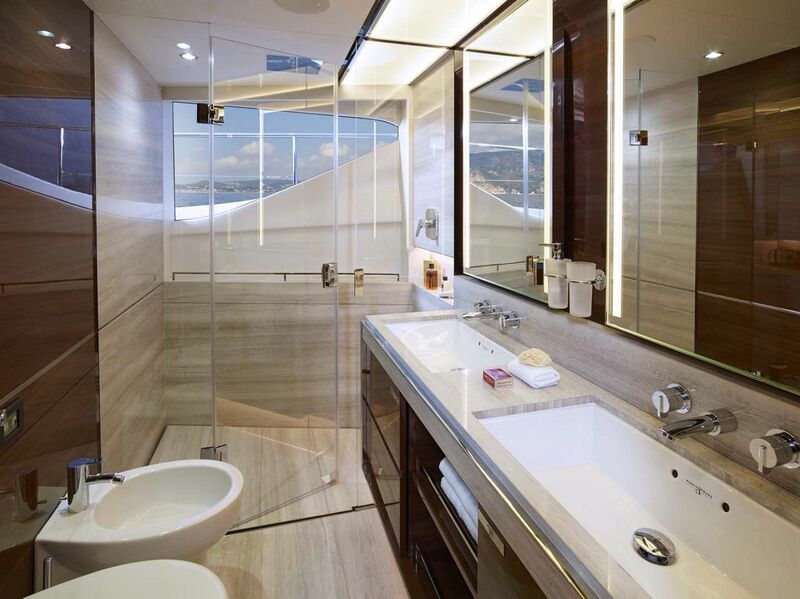 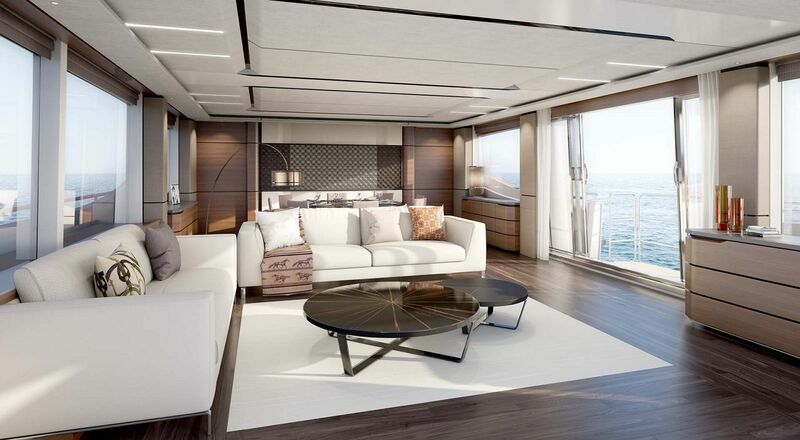 Starboard side is a sliding glass door that reveals a fold-out balcony that offers guests a unique place to sit and enjoy spectacular views. 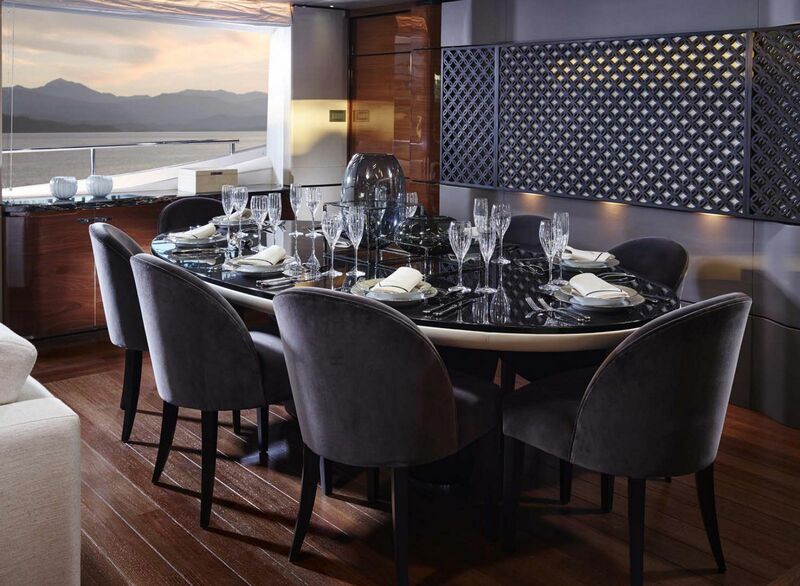 A formal dining area is forward of the salon and can comfortably seat 8 guests and has ample storage around for china and other necessities. 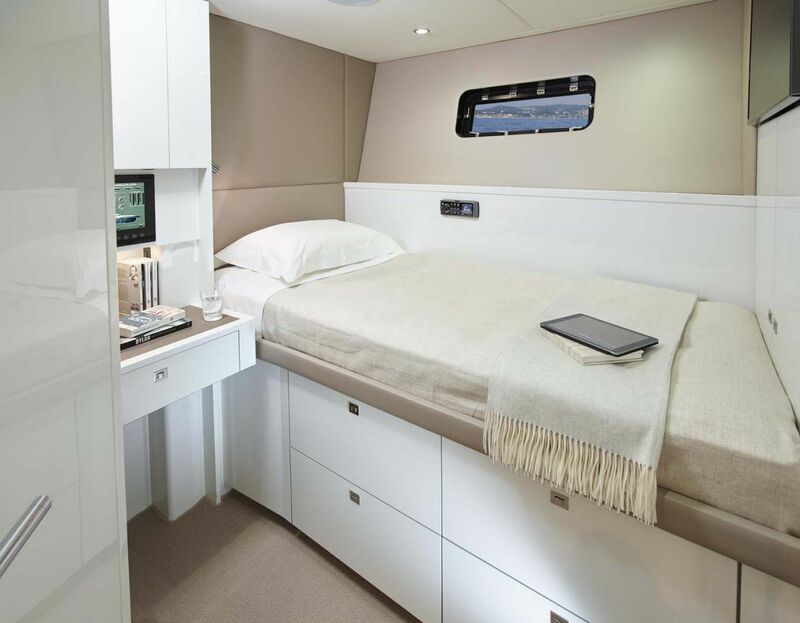 The portside pantry leaves to an amazing galley that has all of the cooking amenities needed to take care of all guests and crew on board. 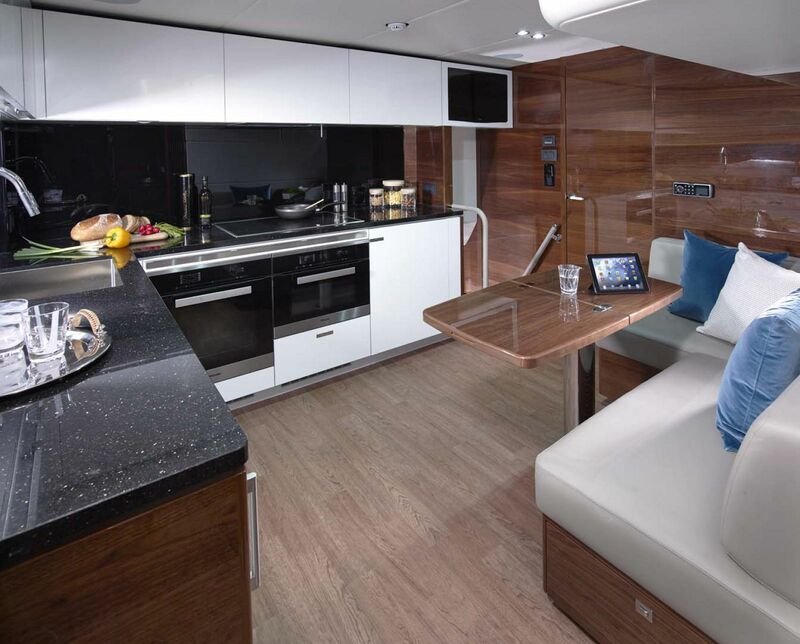 Extra seating in the galley is a great spot to sit down and enjoy a meal along with whoever is cooking. 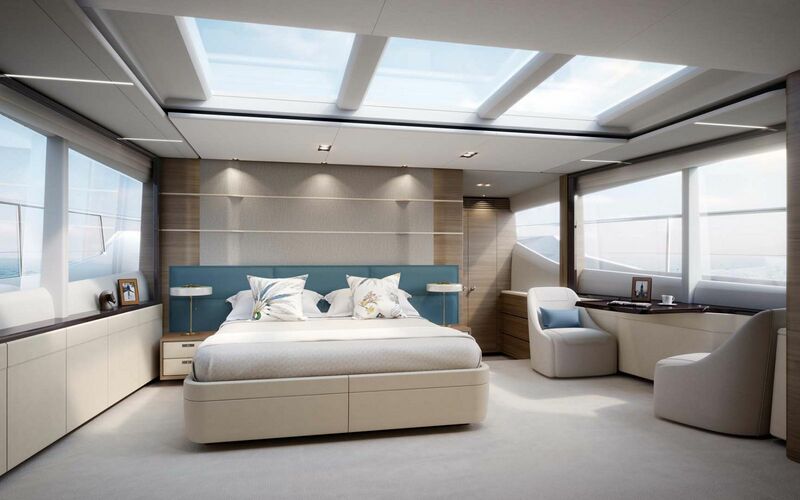 One feature that distinguishes the Princess 30M as a true mega yacht is the master suite that is placed on the main deck, not below and amidships like the guest staterooms. 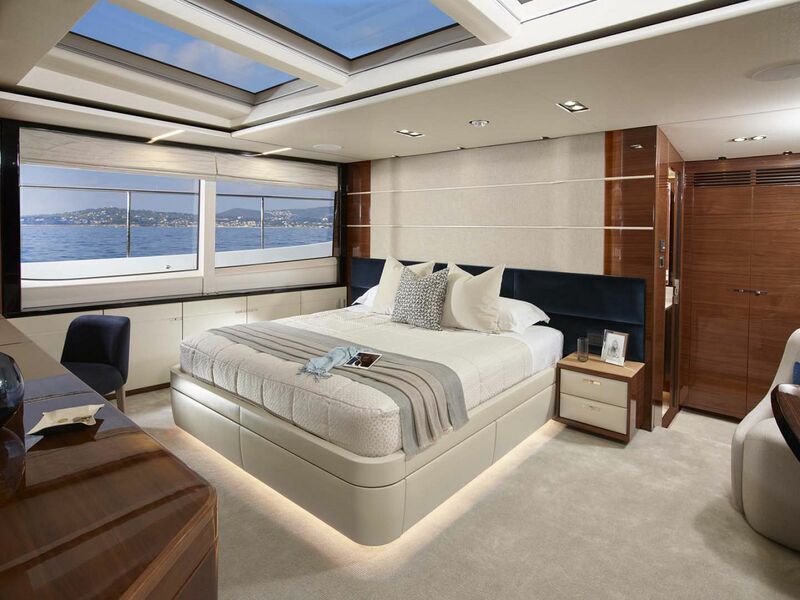 The master suite feels open, partly due to the panoramic windows and skylight overhead that bring in lots of natural light. 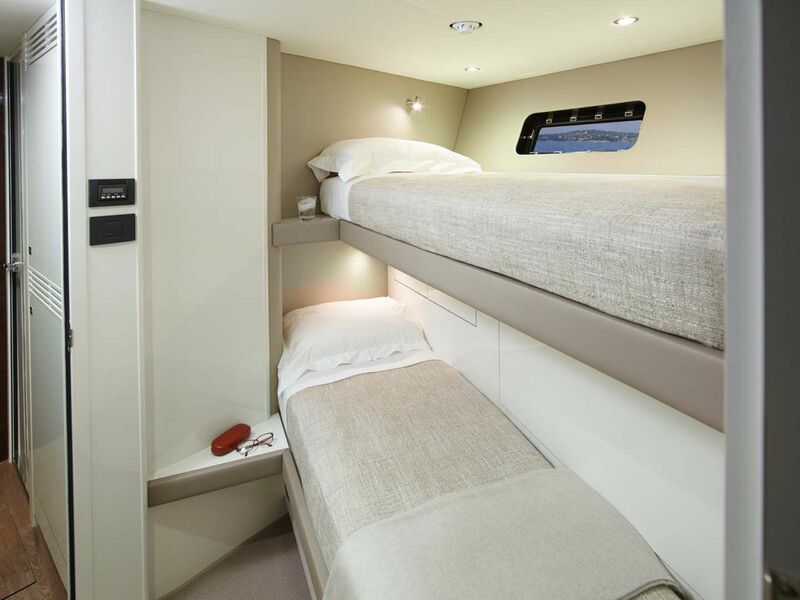 The king-sized berth is centered in the stateroom with nightstands on each side and plenty of room to walk-around, work at the desk, or sit and read in one of several chairs. 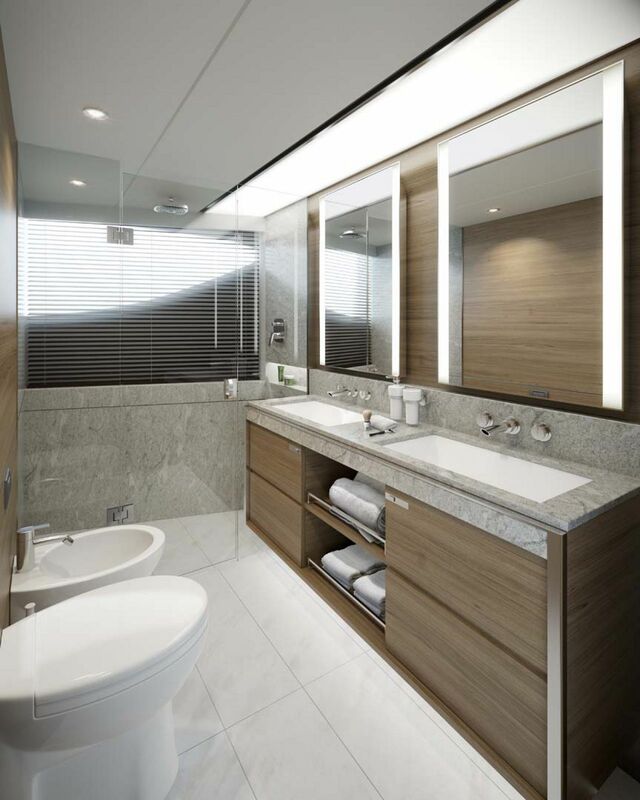 The en suite head in the master stateroom features large mirrors, his-and-hers sinks, a beautiful walk-in shower, and lots of natural light. 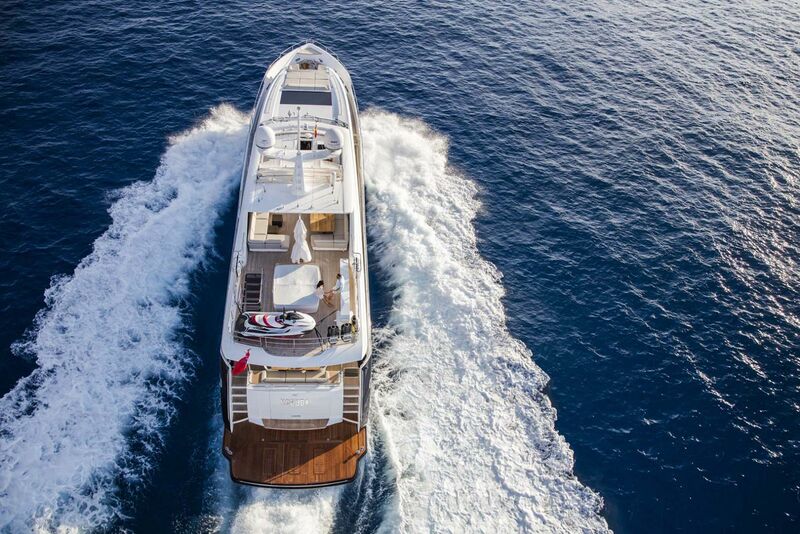 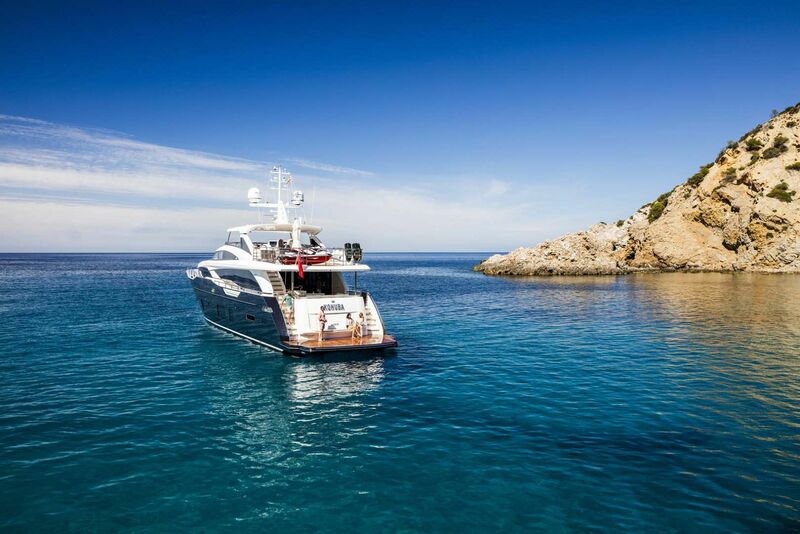 Owners have the choice of selecting a layout that includes an additional three or four guest staterooms on board. 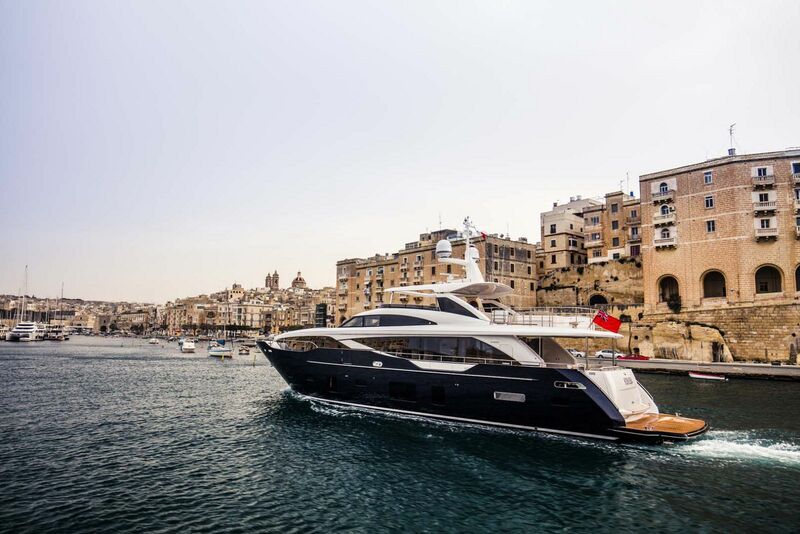 The base power package on the 30M includes twin MTU 12V 2000 M96L 1948hp engines which are powerful enough to give a cruising speed of 20 to 22 knots. 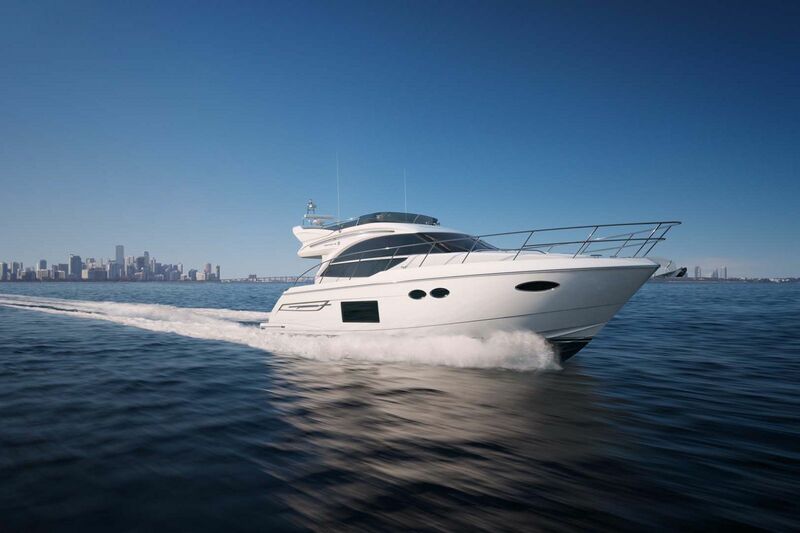 Owners wanting a little extra speed can upgrade to twin MTU 16V 2000 series M96L 2636hp engines which push the 30M up to a 25 knot cruise or MTU M94 3600hp engines that reach 27 knots. 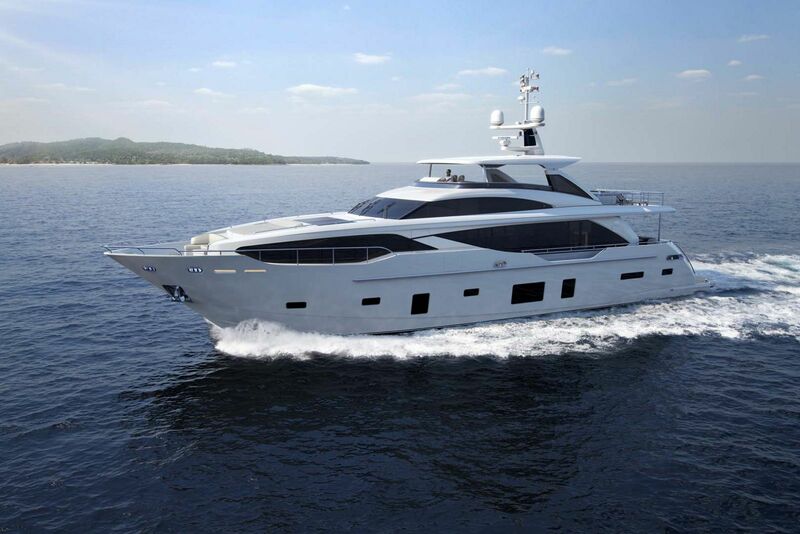 For more information on the Princess Yachts 30M Raised Pilothouse, please contact your Staten Island Yacht Sales Professional today. 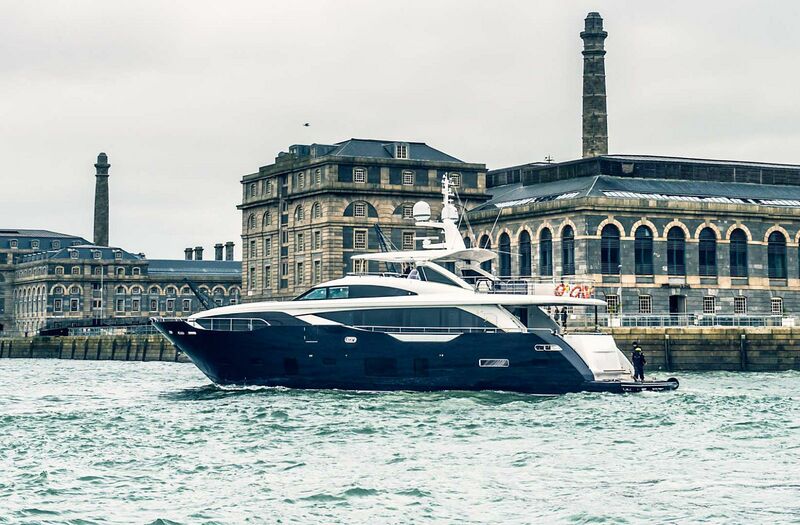 Princess Yachts has released this video trailer of the new 30M Superyacht. 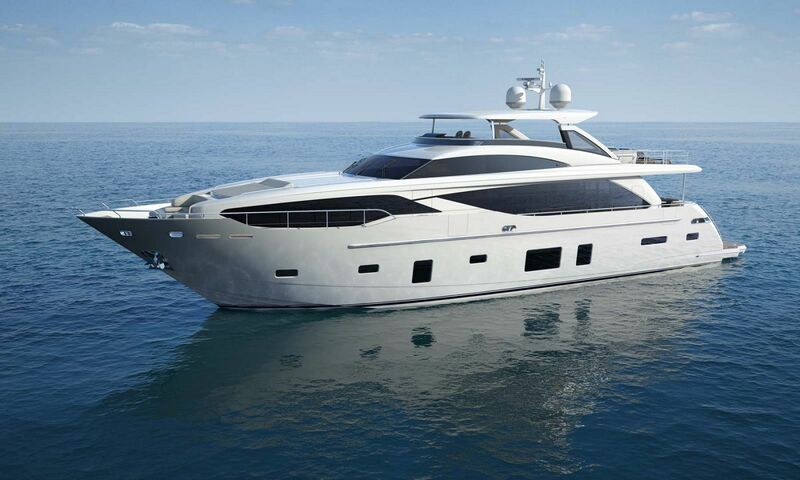 Princess Yachts releases this virtual tour of the new 30M Superyacht.